Even though it's January, the temperatures in Memphis have been hovering around 60. Last Friday, when we were allowed to wear jeans to work, I wore this. The dress shrunk after I washed it, so I belted it and paired it with skinny jeans. I ended up wearing a black jacket over it most of the day because it's always cold at my desk. A coworker told me I wasn't dressed appropriately for January. I laughed. Most fashion rules are meant to be broken anyway. So, when it's the middle of winter, do you wear something from your spring and summer wardrobe if it's warm? Today, I'm linking up with The Pleated Poppy for What I Wore Wednesday. I like it! Sometimes you gotta brighten up your outfits to get through the dull winter. Your hair is so pretty and shiny! I'm hoping you told the co-worker, 'bite me'. Thanks for stopping by my blog! YES TO 60 DEGREE WINTER DAYS!!! Very cute. Love...love the shoes! I think it is totally appropriate for 60 degree weather, screw the month! Great outfit! Those shoes are FAB! I love the color. I need to replace my skinny jeans from Target. I purchased 2 pairs when I bought them and one has a hole in them already... thank goodness they are affordable. Rules are always meant to be broken! Love the outfit! Yes, I will mix and match my winter/summer stuff to create a cute look! 60 degree winter days just don't happen here in MN, but I wear summer stuff anyway. A summer dress with tights and a cardigan makes it winter wear for me! 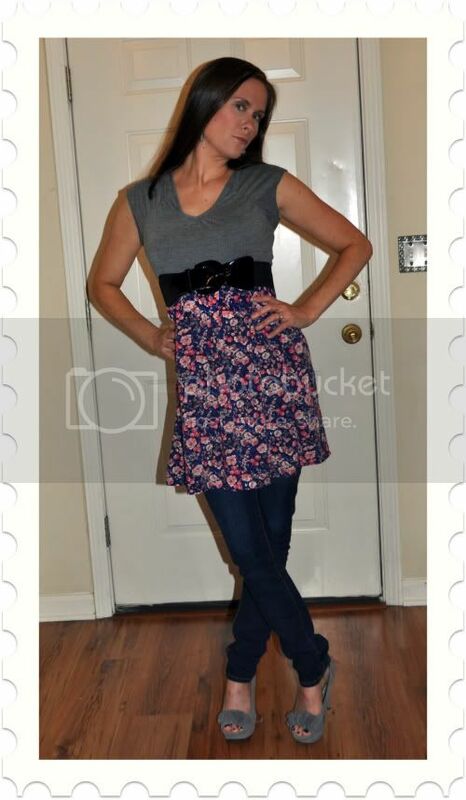 :) You look cute - love the dress over jeans! I love those shoes. Can wear that color with everything! Our weather has been nice as well. Except for today. It's overcast and rainy. Still. I'll take it over snow. i love that the shoe pic made the cut.. it was one of my favs! Hi stopping by from WIWW! Love the outfit! 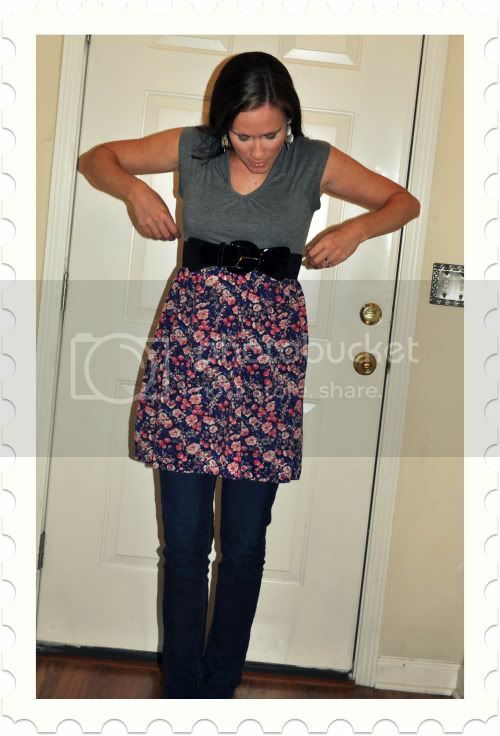 I was trying to do this with some summer dresses I found at Goodwill but they were all too long! I guess I need to get them hemmed anyways!!! btw-Loving those shoes!!! LOVE!! Very cute outfit - right down to the fabulous shoes!! The outfit is adorable, but I'm especially in love with the shoes. love love love it! Summer or winter it's cute!